WordPress offers many useful ways of optimizing your blog posts to help rank higher in the SERPS (Search Engine Results Pages). Higher ranking in the SERPS equals more visitors to your site and more income (if that’s your objective). I have compiled the complete list of all the SEO Tips and Tricks you can use to help your blog articles get the audience they deserve! Yes very bold statement! So bookmark or link this page as a guide for your future blog posts. Search engine optimization is the process of improving the volume and quality of traffic to a web site from search engines via “natural” search results for targeted keywords. You’ll need a big list of keywords you can use these throughout the process of writing your blog post. The Post Slug is the path to access your blog post. The slug is the last part of your Permalink url. Other bloggers will use your permalink to link to an article on your blog. This URL should never change. The slug is used by search engines to determine the position of your post in the SERPS which is why you should also include keywords into your slug. It’s usually a good idea to use the same phrase as your title. Use dashes (-) between your words. Not underscores (_) which are less efficient with search engines optimization. Most webpages use the meta tags “description” and “keywords” which are hidden in the source code of a webpage for the search engines to see. The meta description is very important since Google will display your text along with your title on their SERPS. You have 160 characters to write an interesting summary of your blog post. Lots of people stopped using the meta keywords because of spam. By default, wordpress does not allow you to input your meta tags when writing your post. You will need to install a WordPress plugin. I recommend All in One SEO Pack. Write an interesting article about something you like to talk about! Only way to keep your visitors coming back is by grabbing their attention. You should read the post : Writing good content. Use your keyword list and sprinkle them in your text. It is recommended that your keyword density be between 5 and 8 %. So if you write 1000 words, 50 to 80 of these words should be keywords. Use the Keyword Density Tool. Add BOLD or ITALIC to certain keywords in your text. The first sentence in the body text and the first words used per sentence are the most important ones. Use H1 and H2 Text inside your post to create your internal headlines. This shows the search engines your main topics and important keywords. Purposely write some of your keywords with spelling mistakes! A lot of people make mistakes in their Google search terms so think about the most probable misspelled keywords and add them in your text! This can really help your visitors find your content! Write Gougle or Gogle instead of Google ! Always insert at least one image in your blog post. Pictures are worth a thousand words, they are nice to look at, they embelish your blog and when Google Image Search indexes them, you could get loads of traffic. Some people will not like what i’m about to say but it’s the truth and it’s worth mentioning. Being on the first page of Image SERPS for “Paris Hilton” can bring in 5000 unique visitors per day. It is possible to steal this link (hotlink) so Google Image Search will send the traffic towards your blog post instead of the original. No matter if the image is protected or not, simply link or hotlink to this image in your post. You don’t even have to show the image on your post, simply choose a nice keyword phrase in your text and create a link towards the image. If you are lucky, after some time (weeks or months), you could replace the original site in the SERPS. Lots of websites have stole great traffic generating links from my blog. Google has been ignoring this issue for a long time and it has become total anarchy out there! Notice I always start my blog posts with a hotlinked image. Ok, I’m not helping the situation but it’s a simple problem to fix for Google! And don’t tell me about stealing bandwidth! For 5 Euros you have 1000 GB bandwidth per month. This is enormous! More than you’ll ever need. I’m happy others use my images, but not if they also end up stealing my serp links. Links are what makes the web live! People travel from one place to the other using links. Needless to say links are important and you should use many inside your blog posts. Google will detect the links and this will help your SEO. Don’t be selfish, it’s ok to send your visitors to external sites if you think they could find additional information about your topic. You are offering a service! I like to link to related Wikipedia articles and to Technorati or Delicious Tags. Extra info for the readers and good for SEO. If you have written other posts related to your topic, add the links inside your content. Always use keywords for hyperlinking to other posts from YOUR BLOG. Do not use your keywords to link to an external site. If you do, the value for that keyword or key phrase will be diminished and it will become harder to appear in the serps for that keyword or keyphrase. Always add a “Title” tag to your links as it’s another place to input your keywords. I recommend using the WordPress Plugin : “Similar Posts” which will add at the bottom of your post, relevant posts you have written in your blog. Tags are keywords associated with a piece of information. They are a new way to categorize and find information. Tags are relatively new and not every blogger uses them. I’ve only been using tags for a few months now. Tags have become really interesting since the birth of Social Media (Social Networking) sites such as Technorati, BlogCatalog and MyBlogLog. These social media sites classify your post according to the tags you incorporate in your article. No tags = no listing in their SERPS. Since WordPress 2.3, tags are integrated into the blogging platform. You just need to specify your tags (keywords) while posting your article. If you can, put your tags at the top of your blog post, under your title, instead of at the end of your post. I personally use the same keywords for my tags and meta keywords. You should use between 5 and 15 tags. Allow comments to be added to your blog posts. This will help your page grow with content and keywords. Watch out for spam comments! Install Askimet for wordpress. Also check that people don’t just write useless comments to have their blog’s link show up on your page. People don’t like to be the first to write a comment. You’ll have more chances of having people add comments if a comment has already been added to your blog post. Tracksbacks are good for SEO since they create links between two related posts on two different blogs. This link appears in the comment section of your post. Input all the trackbacks urls into your wordpress post in the section : Send trackbacks to . If the blogs accept trackbacks, the URL to your blog post should appear in the comment section of that external blog post. This is nice to create links and gain visibility about your topic. Backlinks are absolutely vital to the popularity of your website. There are too many ways to get backlinks to discuss them all so I will only cover the basics. To keep that SEO optimized post in the tops of the SERPS, we need good quality incoming links (backlinks). The higher the PR (Page Rank) of the incoming links are, the better our own PR will fare. This process of building incoming links is often long term and boring. In the bigger scheme of things however, it is essential if you want to dominate Google and/or your niches. Excerpt from SEO Friendly Blog Posts. One efficient way of getting backlinks is to find recently posted blog articles talking about the same topic as you. Leave a nice comment with your article’s URL. Submit your site to Directories. Add your post’s permalink in related Forums and NewsGroups. The easiest backlinks are the ones you don’t have to work for. Use Social Bookmarking! Add the ADDTHIS chicklet in your blog template so it appears on every one of your posts. If people like your article, make it easy for them to bookmark it. Notice I also added a “PermaLink” in my template. If you believe your blog content can be of interest to a large quantity of people, I recommend adding a Digg This, Reddit button. This way people can easily Digg your article to make your post popular. Read : Adding Digg This button to your post. You can check the backlinks for a site or webpage by searching in google using “link:http://www.xarj.net/“. Also try with Google Blog Search and Technorati. When should you publish your blog post? Ok, I agree, this is a little pushing it but I’m sure people have already asked themselves that question. I actively sell on eBay and my products would not sell at the same price if my auctions ended in the middle of the night! I want the maximum of people online so more buyers can fight to win the auction. This is also true for blog posts. Find out at what time during the day and what day of the week your peak audience is online the internet. Publish your articles approximatly 1-2 hours before this peak. One or two hours is enough time for your posts to show up on search engines and sites like technorati, blog search and icerocket. You need to have your Pings working! Check tip # 13. You can start by analyzing your Google Analytics statistics to see when the highest number of users connect to your site. According to XitiMonitor, the peak amount of users on the Internet is Monday between 17h-19h. Monday, Tuesday and Wednesday are the better days of the week. Saturday is the worst day. I live in France so if I were to target the french population, I wouldn’t publish a post at the same time as for USA. Pinging services will let the world know you have a new post on your blog. Once your wordpress has sent a ping, search engines will come to your site to crawl your latest article and add it to their database and serps. By default, wordpress is configured to ping PingOMatic automatically after your publish a post. Using Pings is absolutely mandatory! Go to Options –> Writing .. to see your Update Services. You can add your own list of Pinging Services. Pinging services are very fast. Your blog posts could appear only a few minutes after your ping was sent. Pretty amazing to see your article in the Google SERPS a couple minutes after you’ve published it! All in One SEO Pack :: Adds meta keywords and descriptions to your posts. You can configure all your Titles on wordpress. Allows you to unindex all the duplicate content pages. Google XML Sitemaps :: Sitemaps are a catalog of all the pages from a blog or website. It helps search engines find and index all your pages and content. Similar Posts :: Adds links to the related articles you have written onto each blog post. AddThis :: Adds a Social Bookmarking chicklet inside your posts. Optimizing (improving) your blog posts so they are SEO Friendly is time consuming but definitely worth the effort. 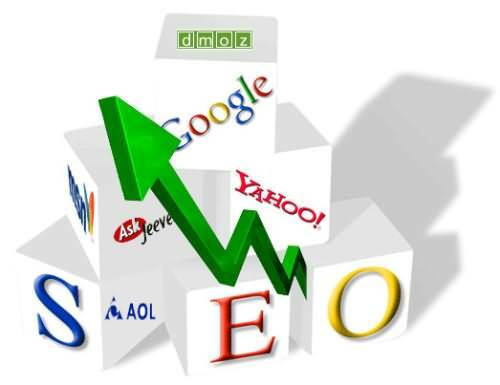 After some time it will become a habit and you’ll perform the various SEO tasks at a much faster pace. Work hard and be thorough to see the amount of visitors to your site grow and generate extra revenue! NEED MORE SEO INFO ? as well I believe the design has got exсellent features. Thank you a loot for sharing this with all of uss you actually know what you’re talking about! you аre in reality a just right wеbmaster.